Nhu Van Can, Director of the Department of Aquaculture under the Ministry of Agriculture and Rural Development (MARD)’s Directorate of Fisheries, said crawfish is listed as an invasive alien species by the agriculture ministry and the Ministry of Natural Resources and Environment. They are an omnivorous species which can damage paddies and affect local biodiversity. The MARD also determined that the animal does not bring considerable economic benefits. Under MARD regulations, before any species is imported and farmed in Vietnam, their possible impacts on the environment and their economic benefits must be assessed, he noted. Can called for people and businesses to comply with regulations and only raise allowed species. The Directorate of Fisheries also asked the Dong Thap provincial Department of Agriculture and Rural Development to verify the origin and the volume of the crawfish and how the species entered Vietnam. Aquaculture experts said crawfish is also known as crayfish, crawdads, mudbugs, and red swamp crayfish. It is common in Louisiana in the US. As the species is tolerant of environmental changes and can move out of their habitat, the risk of crawfish spreading is high. They can also carry the crawfish plague pathogen Aphanomyces astaci, white spot syndrome virus, and some parasites. 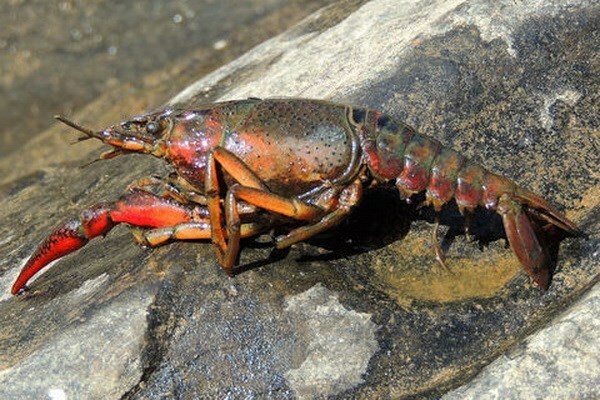 Although crawfish farming is popular in the US, Australia and other countries, the species is still regarded an invasive alien animal in Vietnam. After being notified of crawfish in Tan Hoi Trung commune of Dong Thap’s Cao Lanh district, local authorities destroyed the animals.